Welcome to our September Stamp of the Month Blog Hop! We will be featuring Feel So Blessed stamp set. If you have come here from Krista Hershberger’s Blog , you are on the right path! The blog hop is a great big circle, so you can start here and work your way all around. If you get lost along the way, you’ll find the complete list of participating consultants on Melinda’s Blog. To visit each blog for some great ideas just click on the link at the end of the post on each blog to move to the next one! Here we go! Supplies used are all Close to My Heart: Feel So Good stamp set (September SOTM), From the Heart Card Kit (September National Stamping Month special), White & Bronze Twine, Falling For You Paper Packet, Inks (Nutmeg, Fern). and Memento Black Ink. I used the Feel So Blessed stamps along with this month’s Card Kit special. You can purchase additional cards to create more! The zip strip fits perfectly along the bottom of this card. I stamped the leaves with Memento ink on B&T paper and fussy cut. Wow, WOW!! I just LOVE this card & a fabulous use of combining these September specials! 🙂 Love it!! Love the feathers stamped onto pattern paper. Great card. I love that you used the slide cards from this months special to make your cards. 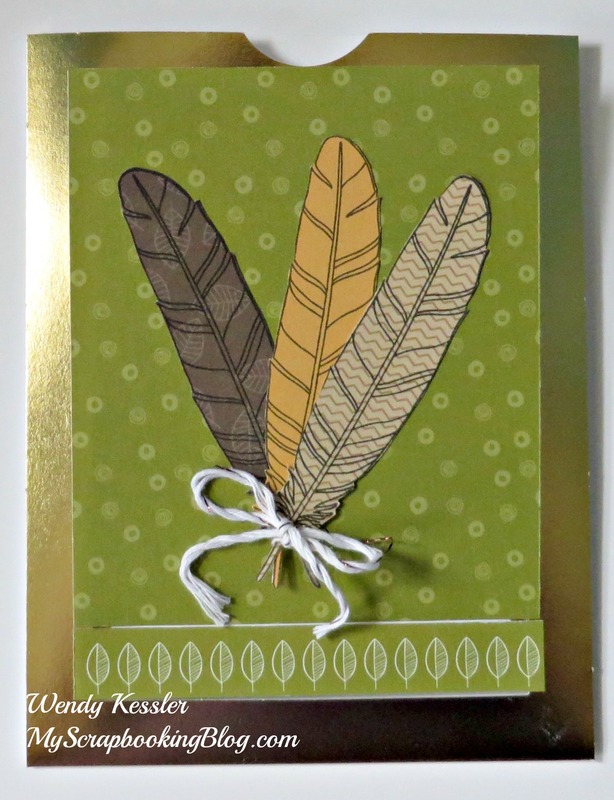 Love the feathers with the pattern papers!! How creative to use it on one of the interactive cards! Lovely idea! Great variation on the NSM card! LOve how you used the from the heart kit! « NEW Holiday Expressions Idea Book!